When registering for the event you can select a fieldtrip from the program. Please choose your fieldtrip carefully, as changing fieldtrip registration at the venue may be difficult due to the limited number of participants at each event. 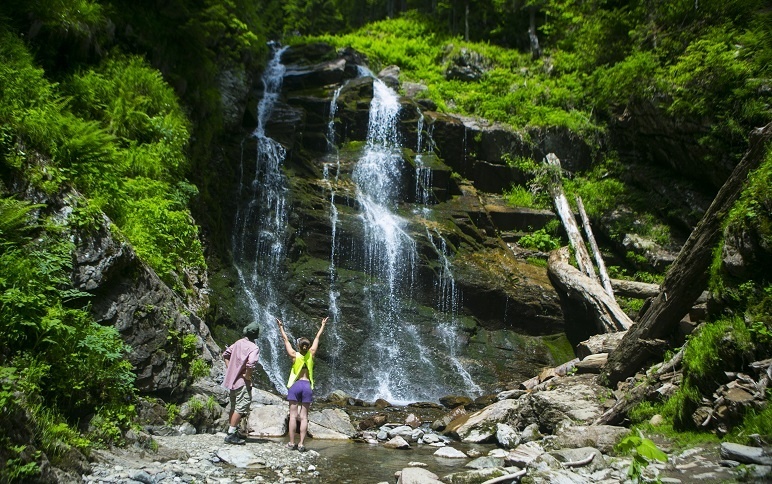 Waterfall Nature Park is located on the South slope of the Aibga ridge in the Mendeliha river bed, 1,472 meters above sea level. Arriving at the trailhead via a cable car, we will hike along a picturesque mountain trail surrounded by the thunder of the waterfalls. The sight of seven waterfalls, with the highest vertical drop of 77 meters, will leave everyone in awe. Our tour guide will tell the story of the Mendel family, in honor of whom the area received its name, and will share information about local flora and fauna. Equipment: windbreaker jacket or a rain-gear in case of rain, comfortable clothes covering arms and legs, trekking shoes, drinking water, sunscreen, sunglasses, and a hat. Please note: the itinerary goes through a border region, please bring your passport or other ID with you! You won’t be able to access the Waterfall Nature Park without your ID. The walk goes through the tree-covered part of the Psehako Ridge, where hikers can admire the magnificent mountain forest of giant trees, moss and vines. 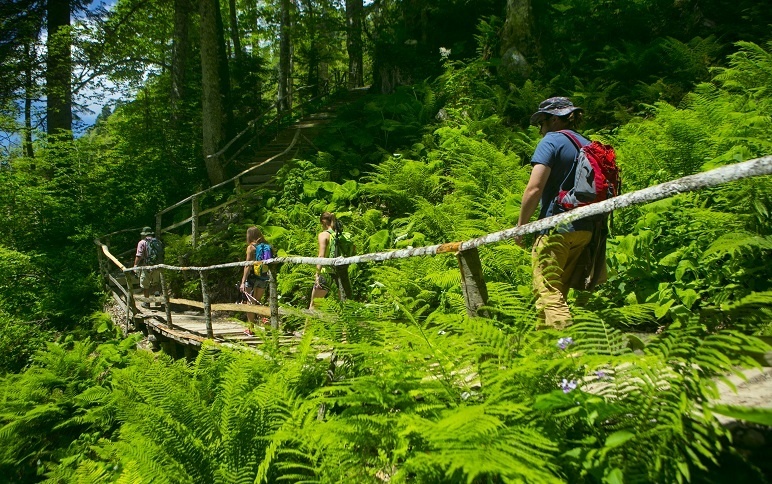 The trail includes three circles of different length and difficulty, climbing from 580 to 732 meters above sea level. 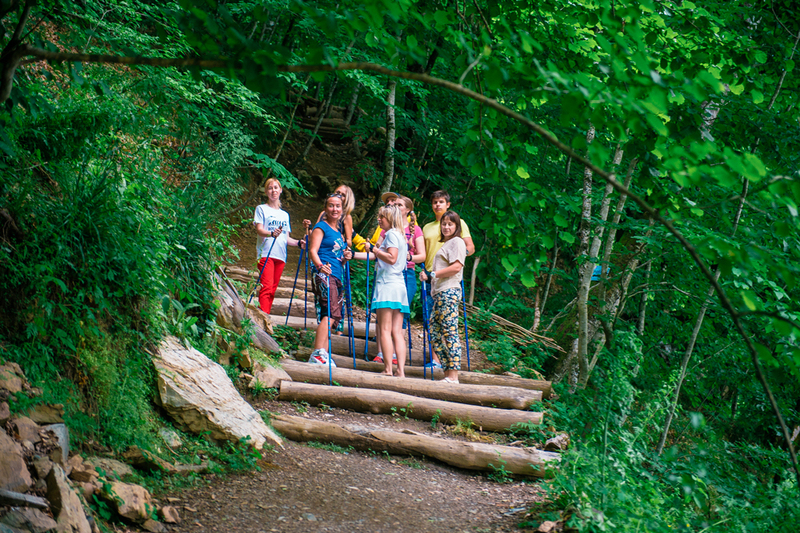 The itinerary includes 919 stairwell steps, crosses 13 mountain springs and two waterfalls. 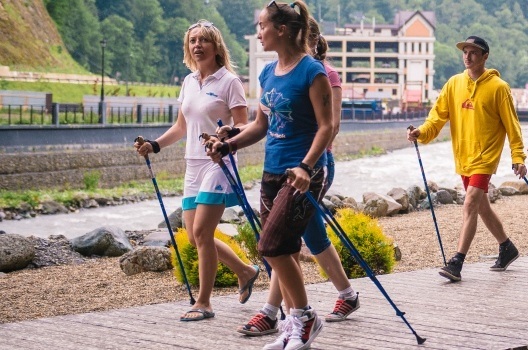 Hikers will attend a hands-on educational workshop, where resort guests can learn about the unique nature of the Caucasus on the Black Sea side, and the guide will share the history of the region, as well as provide information about local plants and animals. Equipment: windbreaker jacket or a rain-gear in case of rain, comfortable clothes covering arms and legs, hiking shoes, drinking water and a hat. 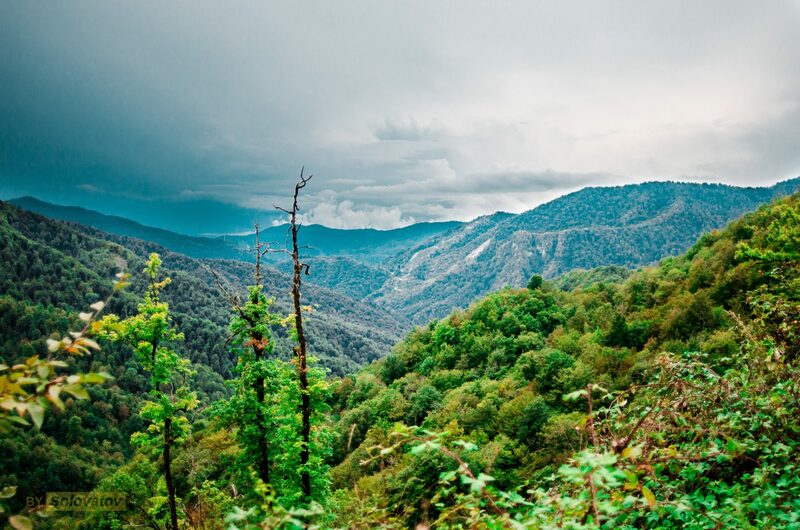 The Visitors‘ Center at the Caucasus Nature Reserve, which constitutes a large part of the Western Caucasus World Heritage Site, will uncover the secrets of the region’s unique natural environment. 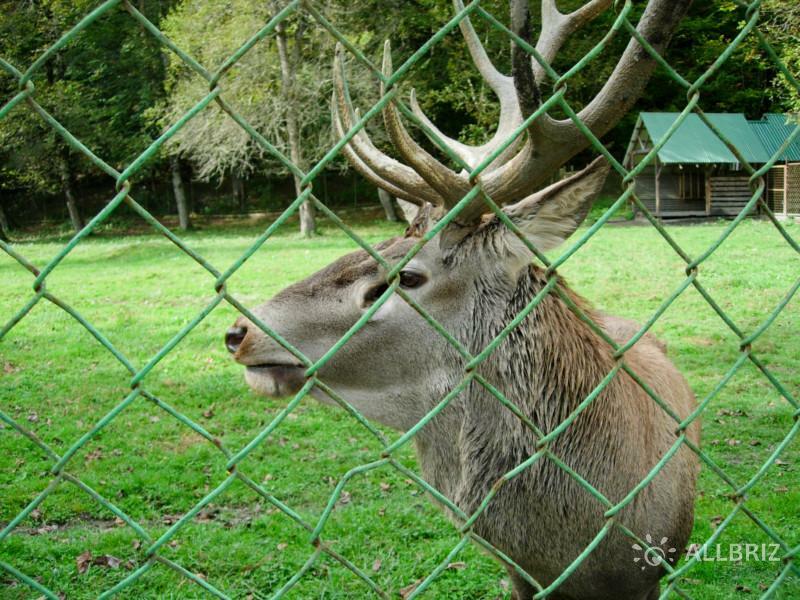 The outdoor enclosure animal park is home to more than 25 rare animal species: wild hog, fox, raccoon dog, bison, wolf, roe deer, sika deer and other animals endemic to the Caucasus. Equipment: windbreaker jacket or a rain-gear in case of rain, comfortable clothes covering arms and legs, hiking shoes, drinking water, sunscreen, sunglasses, and a hat. 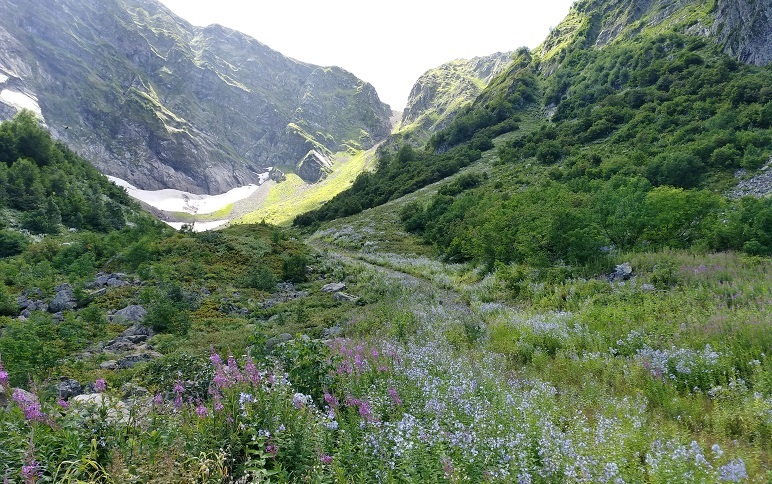 The Yuriev Khutor trek’s destination is an eponymous high-altitude valley, an isolated landmark surrounded by the majestic cliffs of the Kamenniy Stolb mountain outcrops. 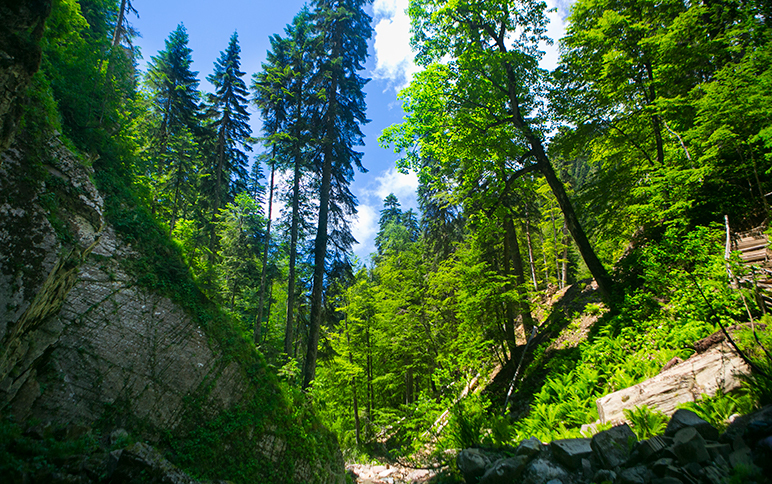 Once they reach their destination, hikers will find themselves enveloped by a unique atmosphere of calm and serenity away from the hustle and bustle of busy crowds. 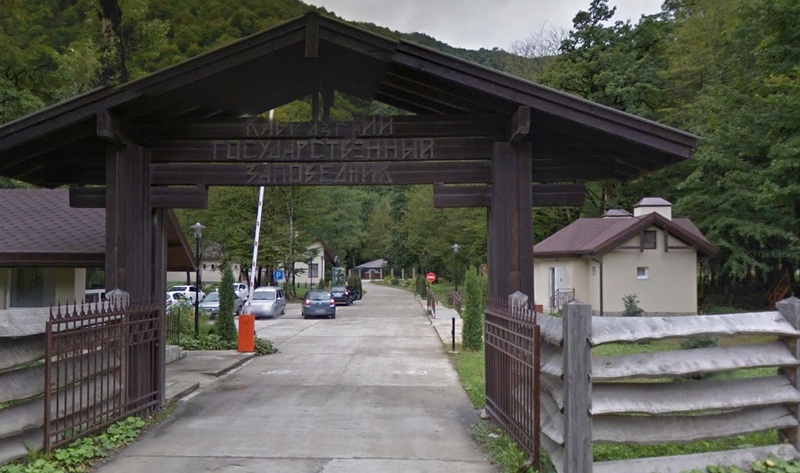 The hike will begin at 1350 meters above sea level and will take us along the northern edge of the Aibga ridge. 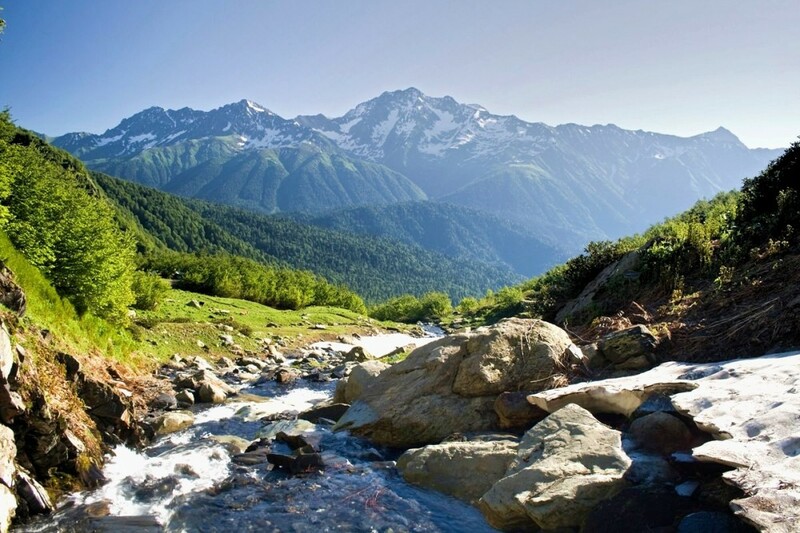 Crossing the ridge going south-east and gently gaining in altitude, hikers will take in the breathtaking views of the peaks of the Main Caucasus Ridge, towering above the clouds on the other side of the Mzimta river. 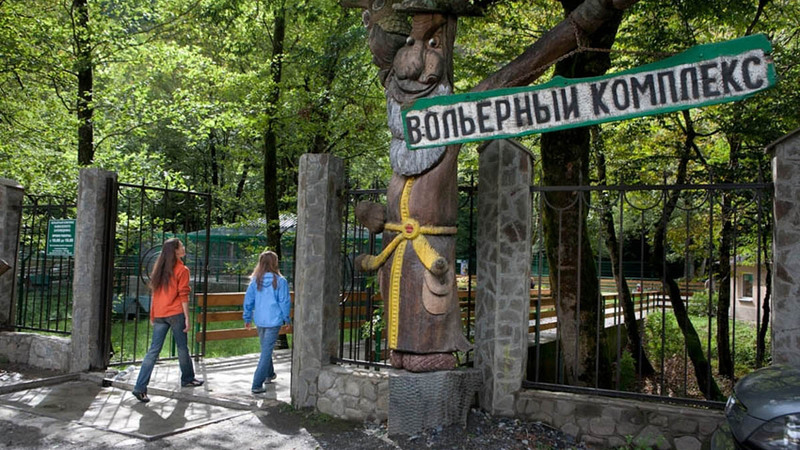 After climbing to 1900 meters above sea level, trekkers will step into the protected area of the Yuriev Khutor high-altitude valley, where the snow melt lasts through the end of summer, only the wind or a stray rock disturb the quiet, and wild animals – bears and chamois – visit these parts more frequently than men. Equipment: windbreaker jacket or a rain-gear in case of rain, comfortable clothes covering arms and legs, hiking shoes, drinking water, snacks, sunscreen, sunglasses, and a hat. 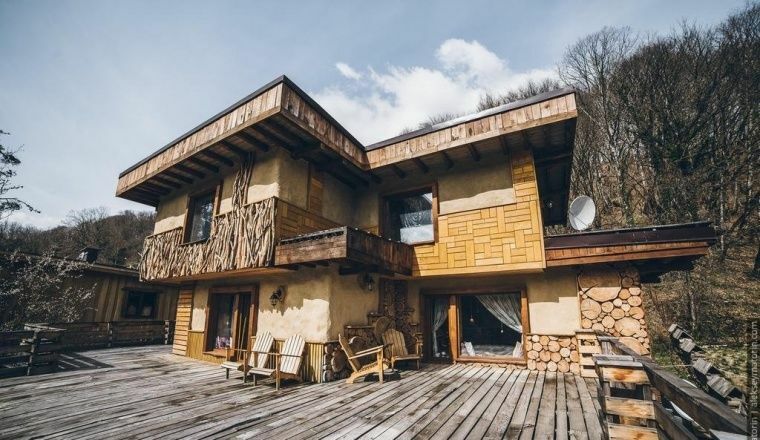 The itinerary starts at the outdoor enclosure animal park of the Caucasus Nature Reserve and takes us down the right tributary to the Mzymta river on the right side of the Achipse river. 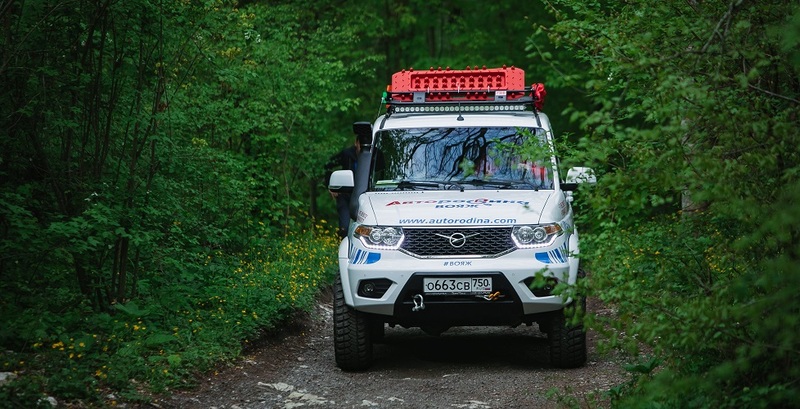 We will walk through the flood plain forest on the riverbank, cross the river via a suspension bridge to reach the confluence of Assara and Achipse rivers, and then will walk up a short way to the Rudovaya river mouth. One can see animal tracks on the wet soil: foxes, wild hogs, roe deer, raccoon, wolf and bear. High up above, crows, black hawks and buzzards trace the sky. Deep in the woods one can spot other birds, including woodpeckers, jays, and tree creepers. 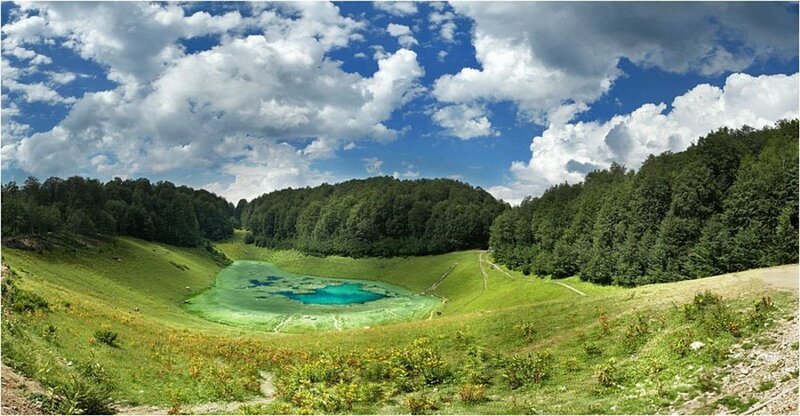 We will first drive up a picturesque mountain road to 1,800 meters above sea level, where we will take a walk through a large meadow nestling the karst lakes. 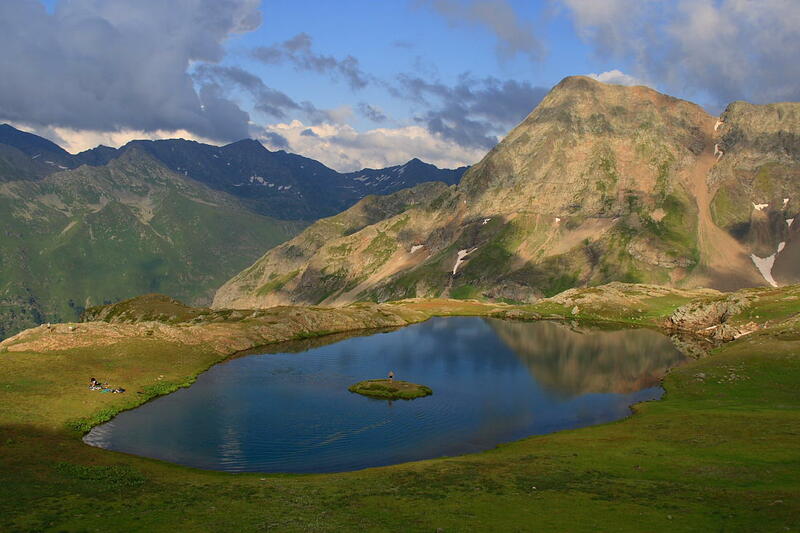 From there we will walk up to an overlook with a view on the Great Caucasus Ridge. Equipment: windbreaker jacket or a rain-gear in case of rain, comfortable clothes covering arms and legs, swimsuit, hiking shoes, drinking water, sunscreen, sunglasses and a hat. We will visit a remote mountain village Medoveevka to enjoy calm, serenity and the crystal clarity of the autumn in the Caucasus. 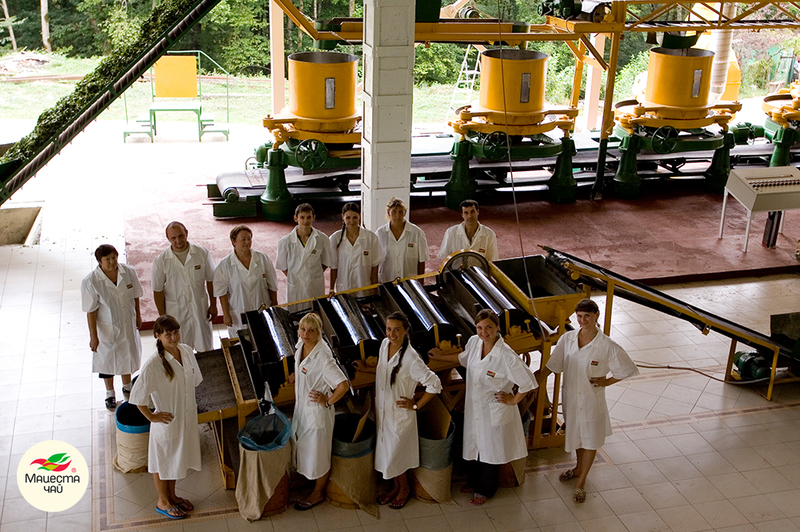 The tour includes a visit of Endemik, a colorful artisanal brewery, where you can taste several kinds of the original craft drink, brewed using unique local water. 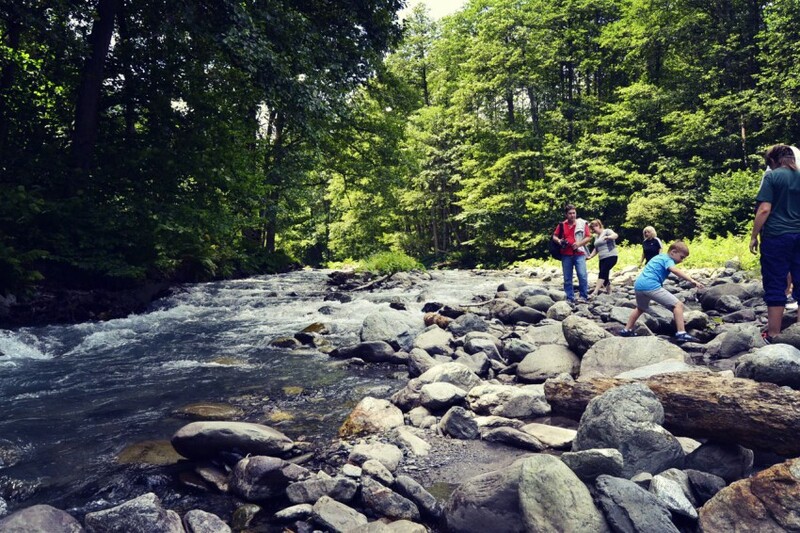 A mere 20 minute ride from Sochi center, everything changes when we reach the Mastesta valley nestled in the mountains of the Caucasus. 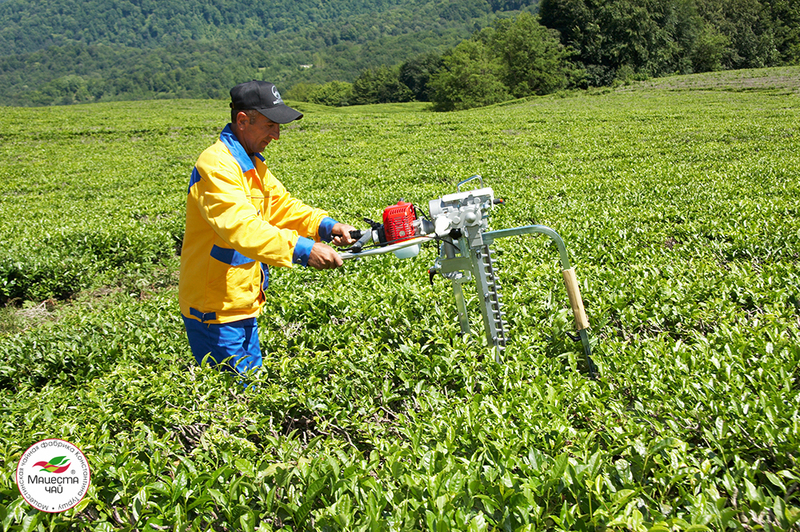 Matsesta tea plantations cover more than 170 hectares, a place of clean environment within the Sochi metropolis. 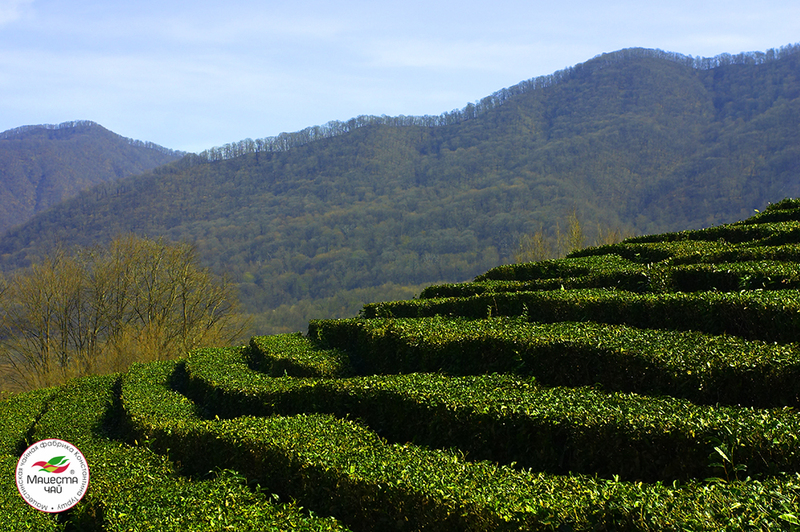 We will see how tealeaves are grown, harvested and processed. 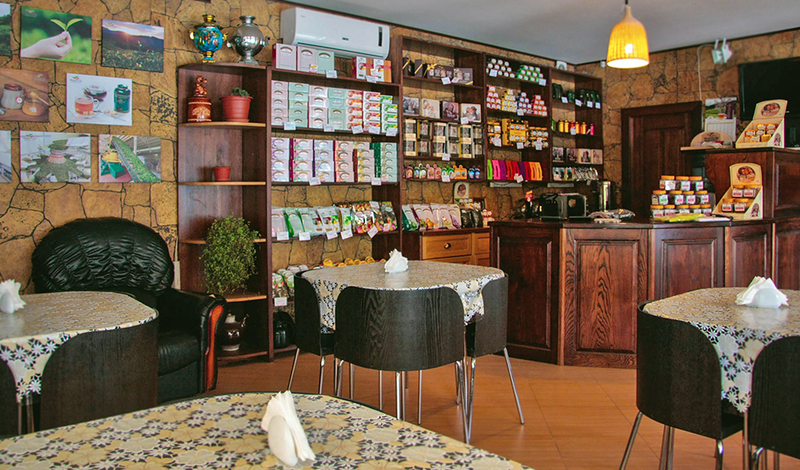 You can participate in master classes, take beautiful photos in one of the most breathtaking corners of the resort, and, of course, enjoy the taste of the best kinds of black and green teas in the world.